Our rooms wrap our guests in the warmth of the rustic countryside. 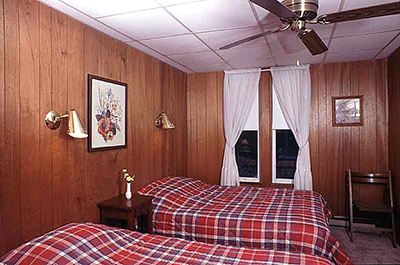 With cozy paneling and friendly comforters in plaids or florals, our rooms invite our guests to come in out of the cold or escape the heat of the sun and immerse yourself in an atmosphere of nostalgia and rustic charm. 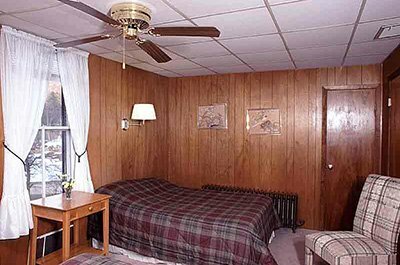 Each room has heat, of course, and a ceiling fan to help keep cool in the warmer months. This room features a queen bed and a private bath. A small sitting area with two chairs and a table gives guests a place for their book or laptop. White curtains frame a beautiful view of surrounding woods and hills. 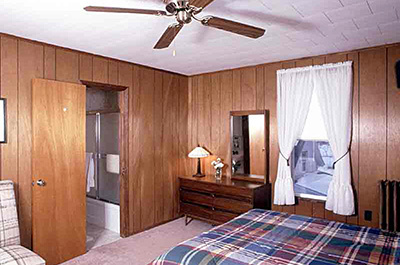 This room features a queen bed, a twin bed, and a private bath. A small sitting area with a chair and a table gives guests a place for their book or laptop. Two windows with curtains give a view out different sides of the property. 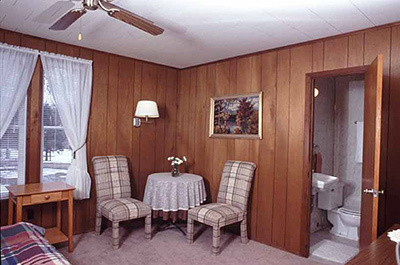 This room features two double beds and a private bath. Sheer curtains frame a beautiful view of surrounding woods and hills. 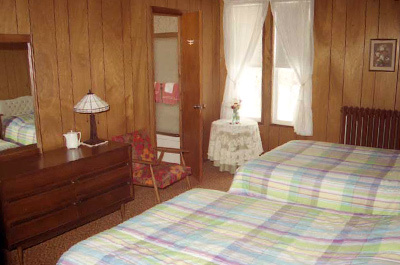 This room features two double beds and a private bath. White curtains frame a beautiful view of surrounding woods and hills. 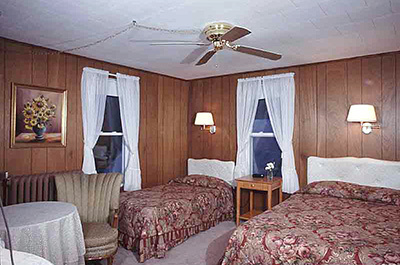 This room features a double bed and a twin bed. White curtains frame a beautiful view of surrounding woods and hills. Shares a bath with Room 7. 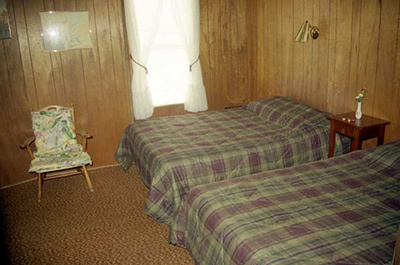 This room features a double bed and a twin bed. Fresh, white curtains frame a beautiful view of surrounding woods and hills. Shares a bath with Room 6.